Posted on Thursday, December 31st, 2015. 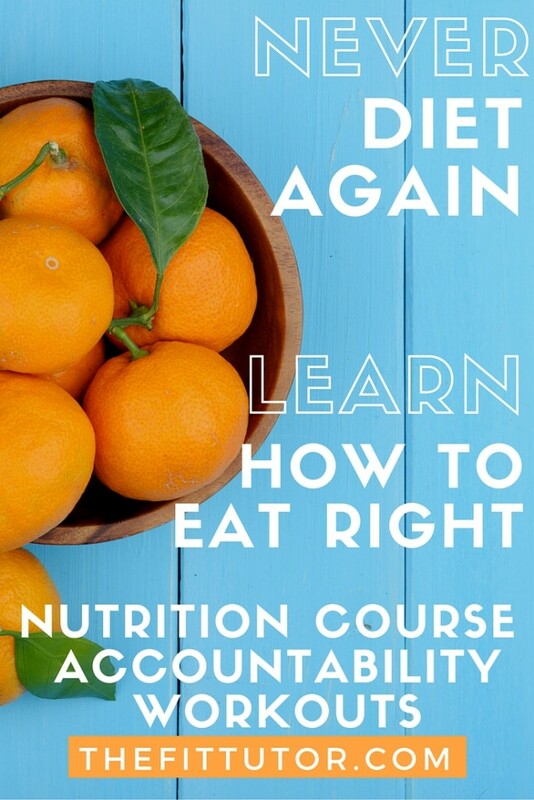 We are so excited to launch our online Nutrition Course! Read more to learn how we can help you end dieting forever. We’ve all heard the phrase “you can’t out-exercise a bad diet”- and I confess in the past I saw it as a challenge instead of sound advice. But it’s true. You need to eat the right kind and amount of food to get the results you desire. In fact, nutrition is so significant to body composition that you can maintain or lose weight by healthy eating alone! This is crucial for those busy seasons when time to exercise is a luxury. 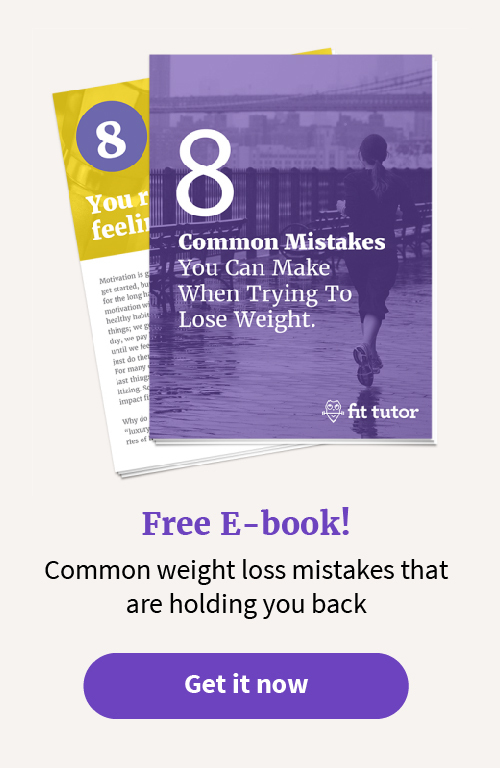 It’s fair to guess many of you reading this have tried to lose weight before- whether with shakes, purchased meal plans, fasts, detoxes, “clean eating,” etc. Those can all be good, but they aren’t long-term and the weight comes back. What happens when the shakes become too expensive, you finish the meal plan but didn’t like the food enough to do it again, your detox made you irregular, and clean eating was just too confusing? 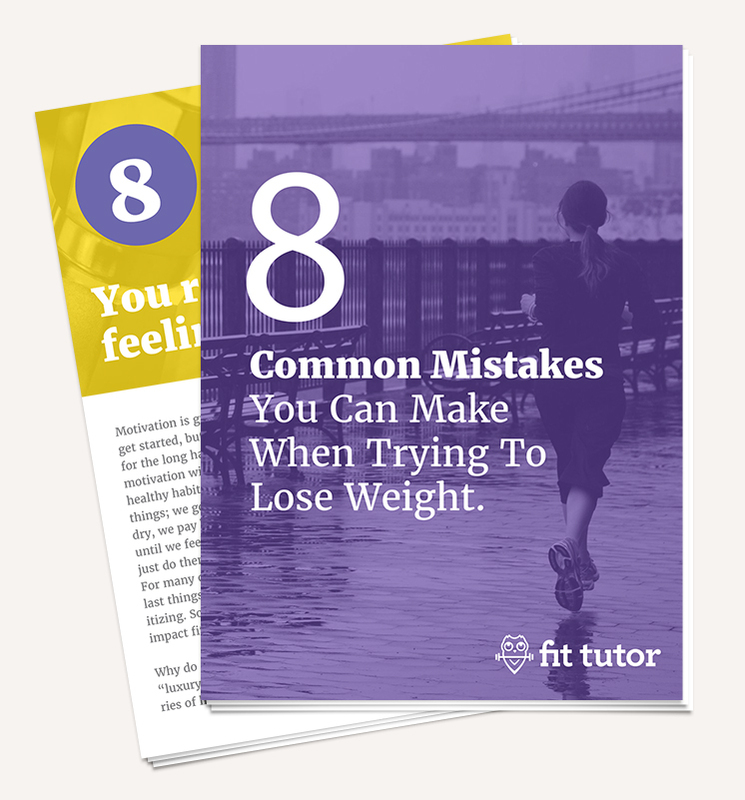 The Fit Tutor’s nutrition course teaches you how to eat healthy and create lifelong habits so you never yo-yo diet again. It’s a step-by-step program that’s simple enough for beginners. You’ll learn each habit one at a time, track your progress (without counting calories, unless you want to), and receive support and/or accountability if needed. Once you’ve mastered a habit, you can move on to the next one. There are only five habits, and you can spend two weeks on each, or longer if needed. The key to making this a lasting change is to be 100% confident in your ability to succeed at each habit before moving on to the next. I’ve created charts to help simplify this process, so there’s no assuming or guessing. You will know exactly when and with what you are struggling, so you can improve before you move on! There are even advanced habits for anyone interested in macros, percentages, calorie counting, carb cycling, etc. This isn’t a quick fix, although most of you will see results right away. Quick fixes don’t always work, rarely last, and you’ll be back in this same position in a few months. I’ve played sports and worked out my whole life, and I always thought I ate healthy. Once I implemented these habits, I lost those last stubborn pounds and saw a number on the scale I never thought I would. I’m never hungry, and I still eat great food. At age 32, I’m more confident in my body than I’ve ever been. Many of my clients have seen great results going through this program as well- and if you pair it with exercise you’ll really maximize your results and time! I don’t know what brought you to this article, whether it’s a New Year’s Resolution, clothes that no longer fit, an order from your doctor, or another failed diet- the list could be endless! 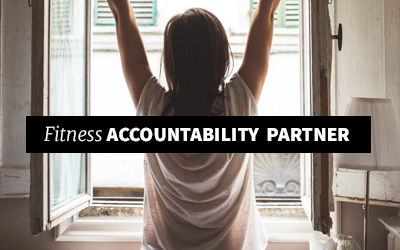 I want to encourage you to try this program- it works!- and it comes with accountability so you can’t fall off the wagon without someone (or a group!) bugging you and pulling you back up. Learning how to eat right and not rely on someone else for your health is one of the most empowering things you can do. With our affordable membership, you’ll get access to this course, our 8-week Get Fit Program, a new Weekly Workout each week, our Workout Creator, and individual and group accountability as desired. All our videos have modifications for beginners, intermediate, and advanced exercisers, and have correct instruction and demonstration to help prevent injury and get you results! Why not give it a try? 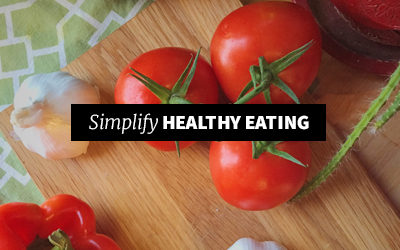 Our accountability and the simplicity of this program can make this year the year you stick to healthy eating! It’s only $11.99/mo- this course one-on-one would cost about $1,000, not to mention each workout would be about $40/session. It’s a steal! If you have any questions, just ask! Email me or comment below. Sign up to start the program today! Already a member? Access the course HERE! 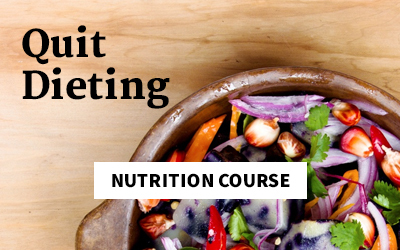 I’m certified through Precision Nutrition, and this course is based on their research and habit-based nutrition coaching. This course is for weight loss/maintenance and disease prevention, so if you have a pre-existing condition, please check with your doctor before starting any nutrition or exercise program. Macros 101 for Fat Loss: Improve Your Results!